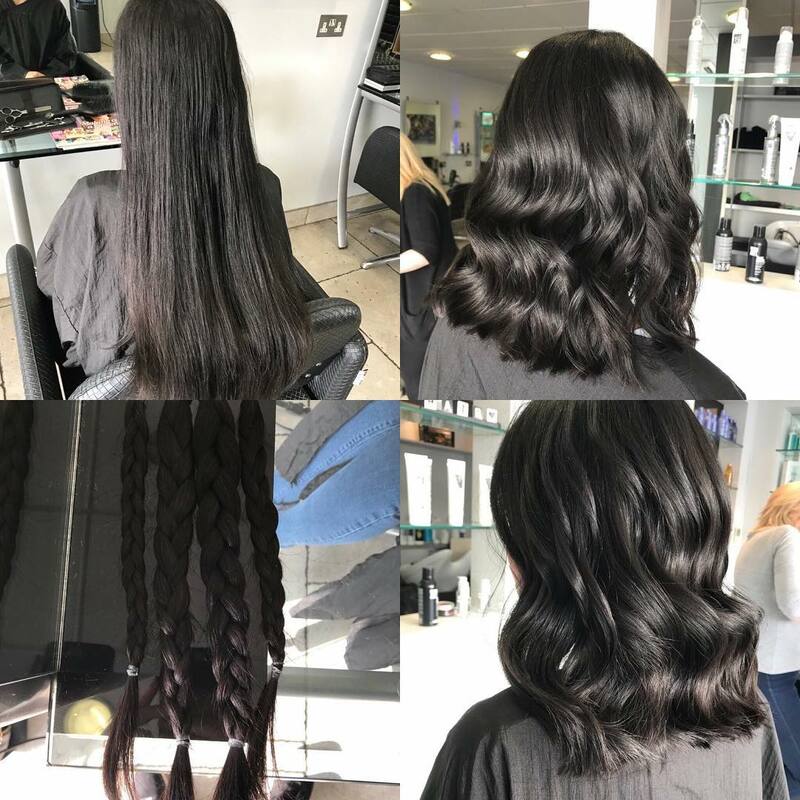 Having long locks is great. 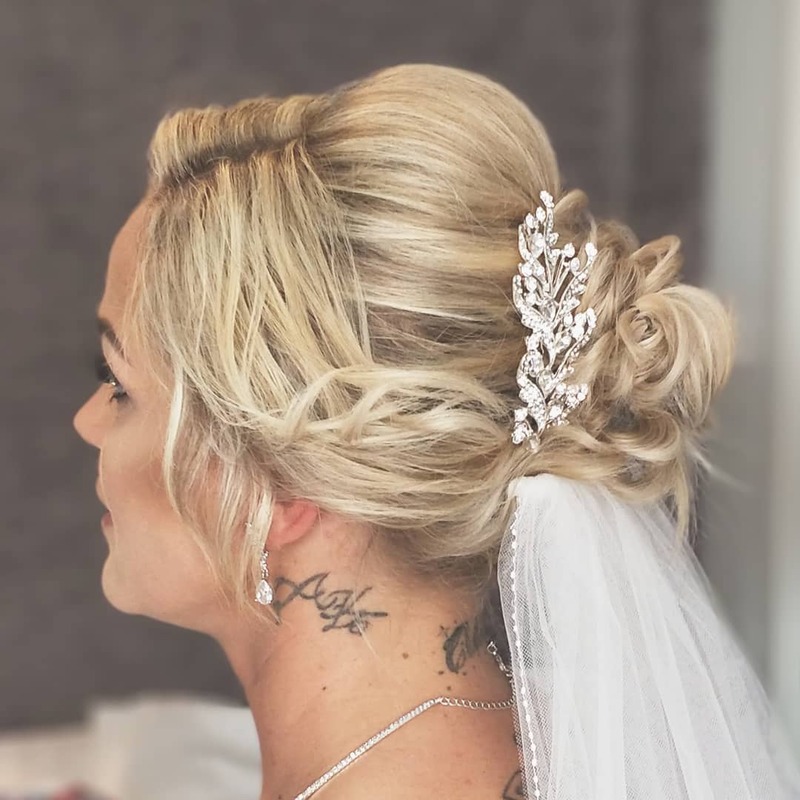 Your options for styles are almost unlimited, you feel like a princess, and when we scroll Instagram it is all we see. Having long hair can also be a lot of work, hard to deal with, and tiring. Instead of constantly fighting with your hair and leaving it in a ponytail, maybe you should try a whole new look. 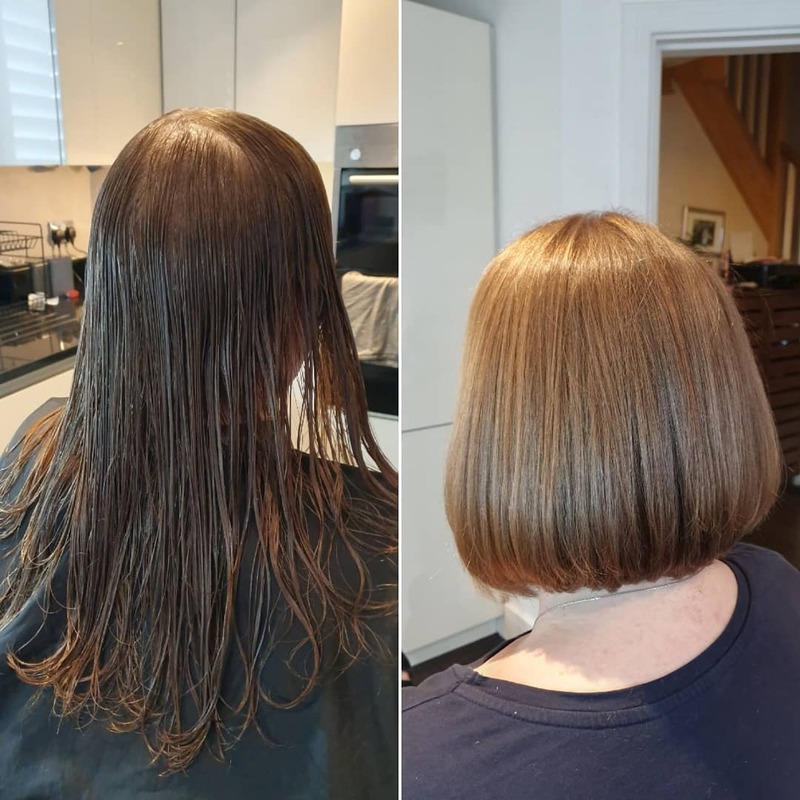 Going short might be scary and something you never thought you would do but after checking out these before and after, your mind will be changed. 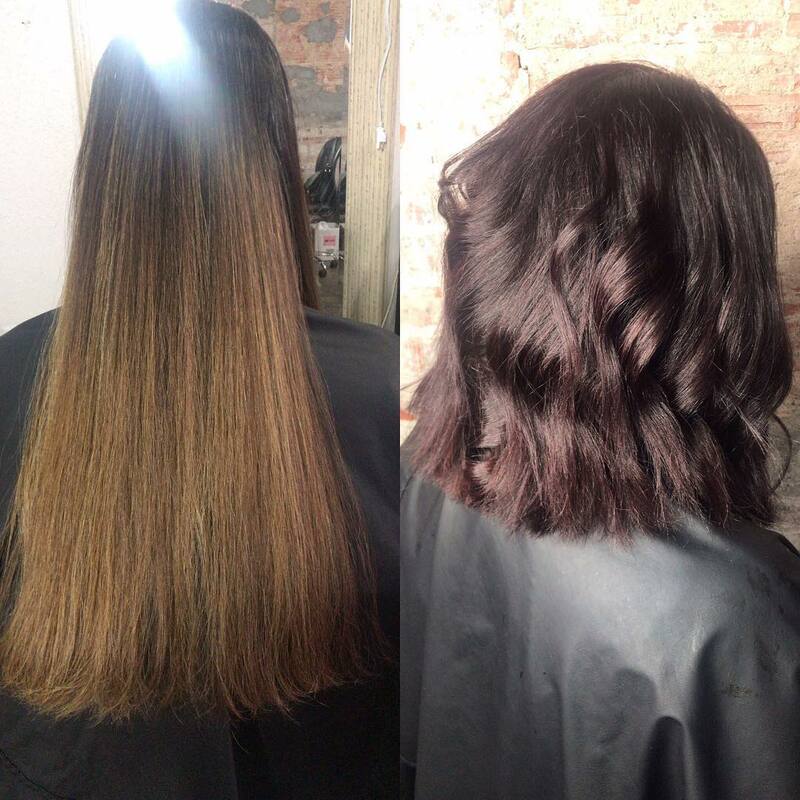 Here are 40 stunning before and after short hair transformations. 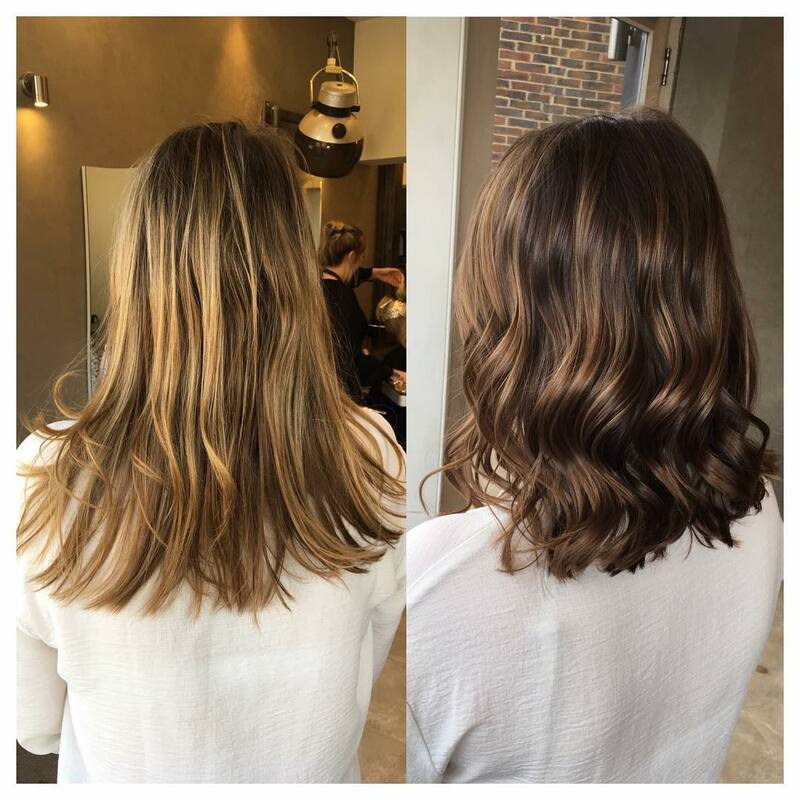 Say goodbye to your long hair and hello to a gorgeous long lob. 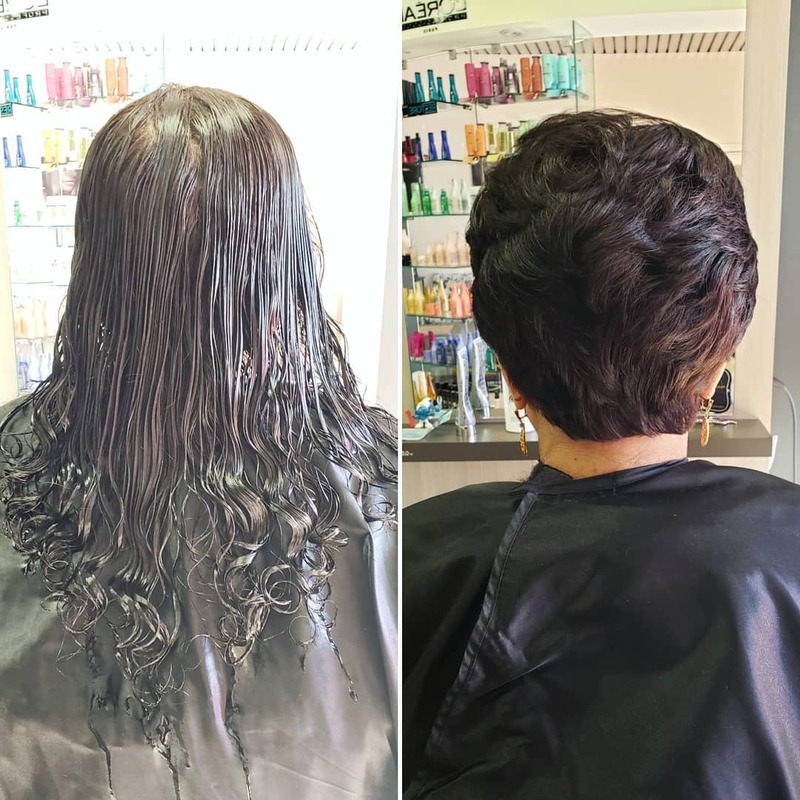 Cut your hair, throw on a new color, and embrace your short, beautiful hair. 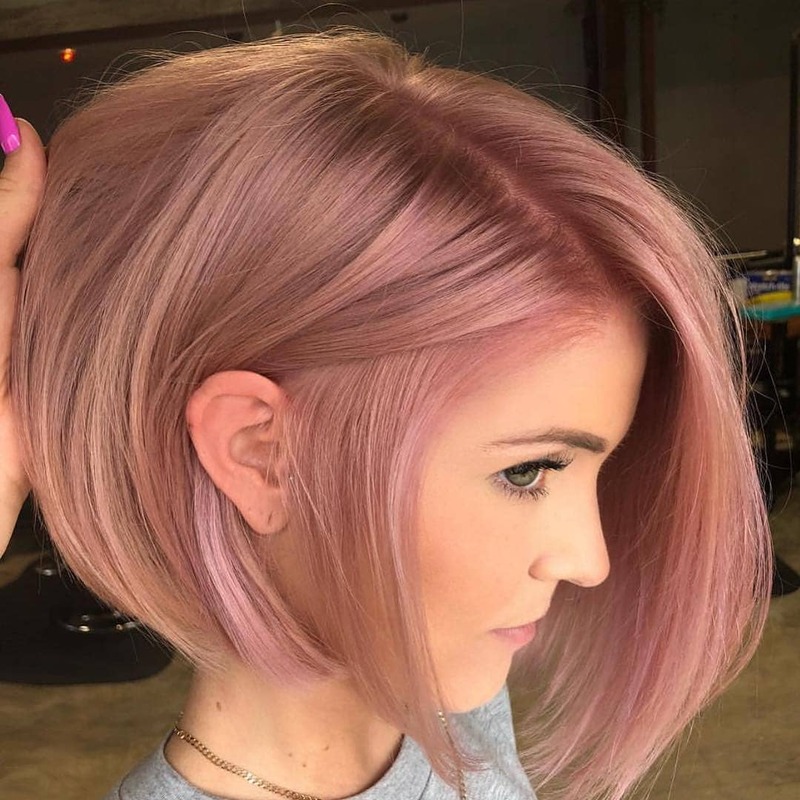 Short hair with a new color is a great change if you ask us. 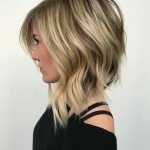 Do an angled cut to keep your hair a little longer in case you want something to play with. 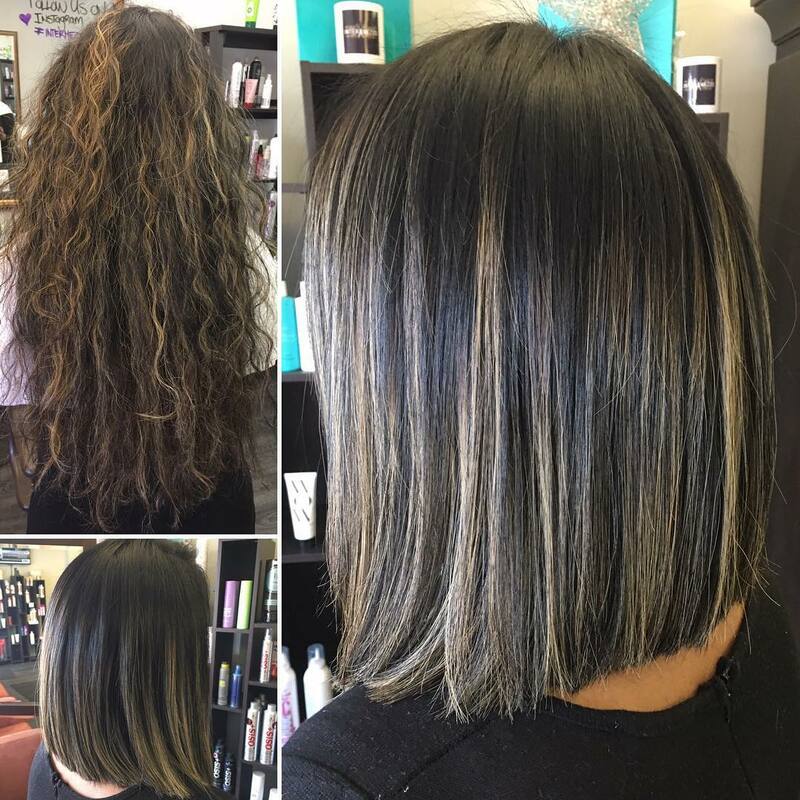 Color your hair a little warmer, add in some highlights, and enjoy your new lob cut. 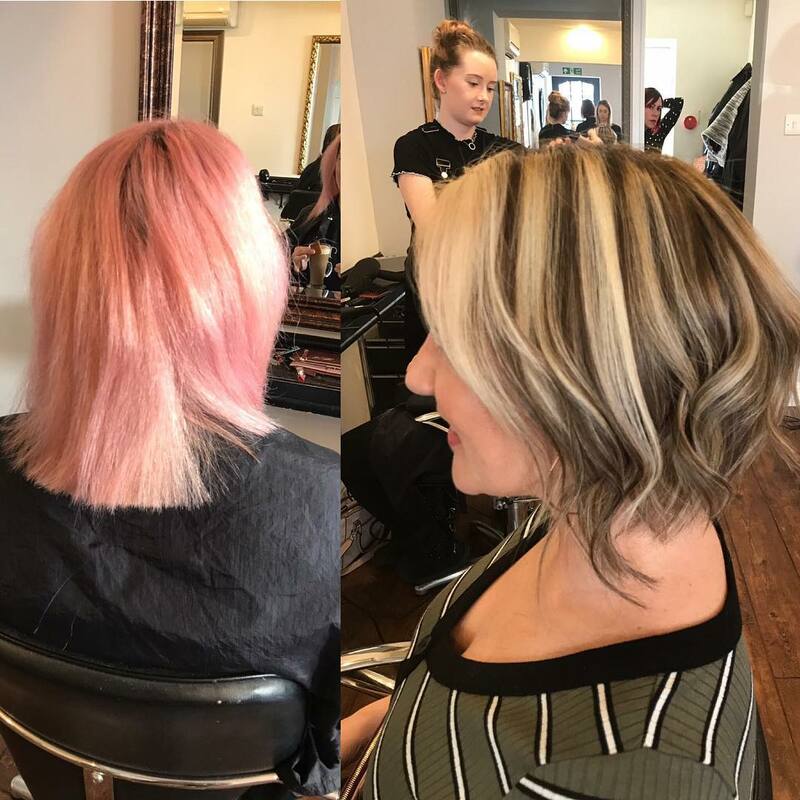 Going from long to short can be scary but throw on a fun new color to help ease the pain. 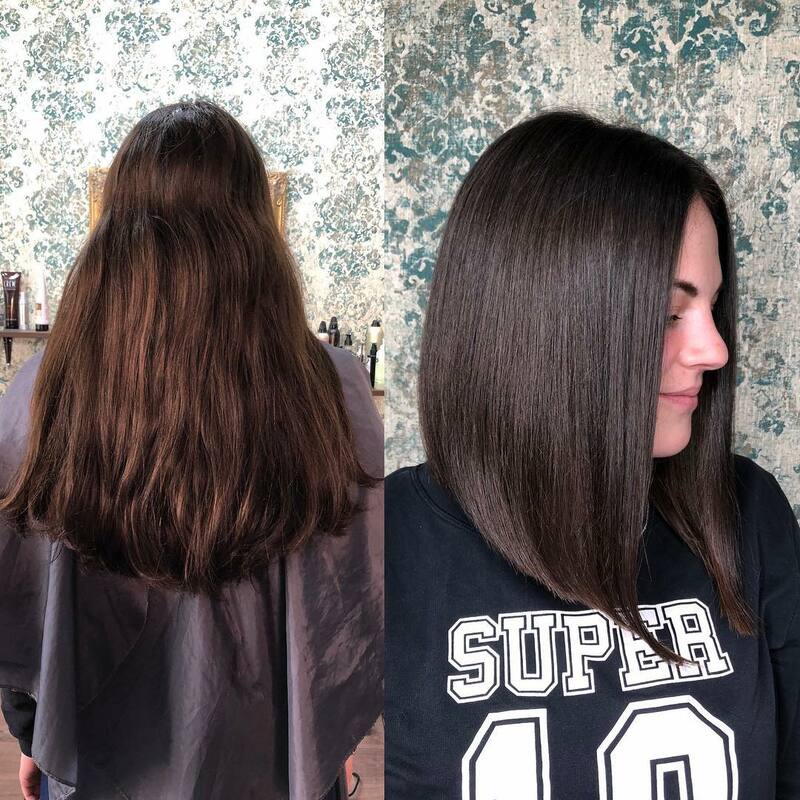 The classic lob will never go away. Try it out for yourself, we promise you’ll love it. 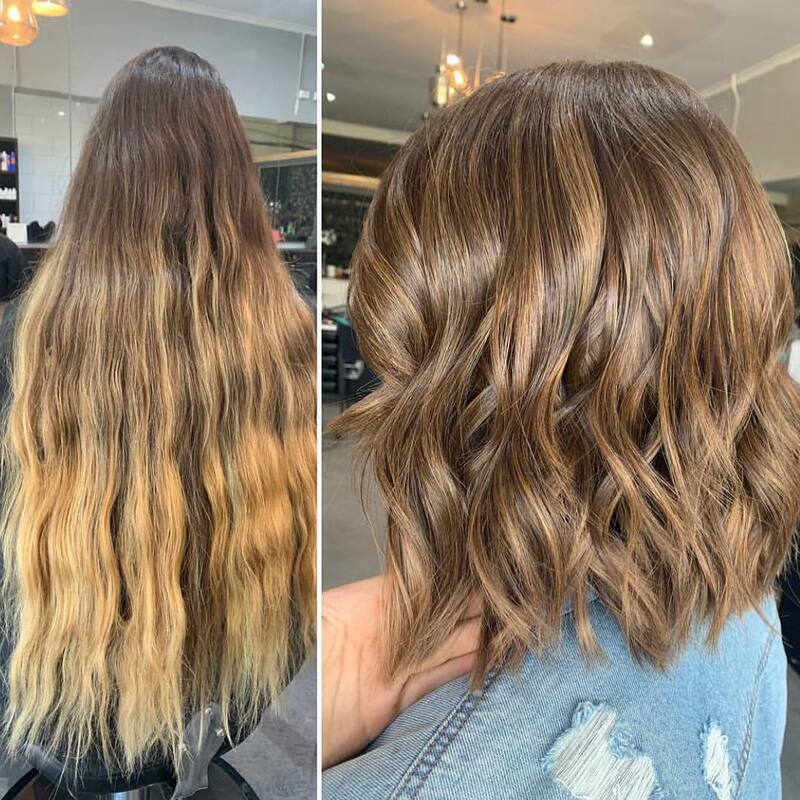 If you already have short hair, maybe go a little shorter? 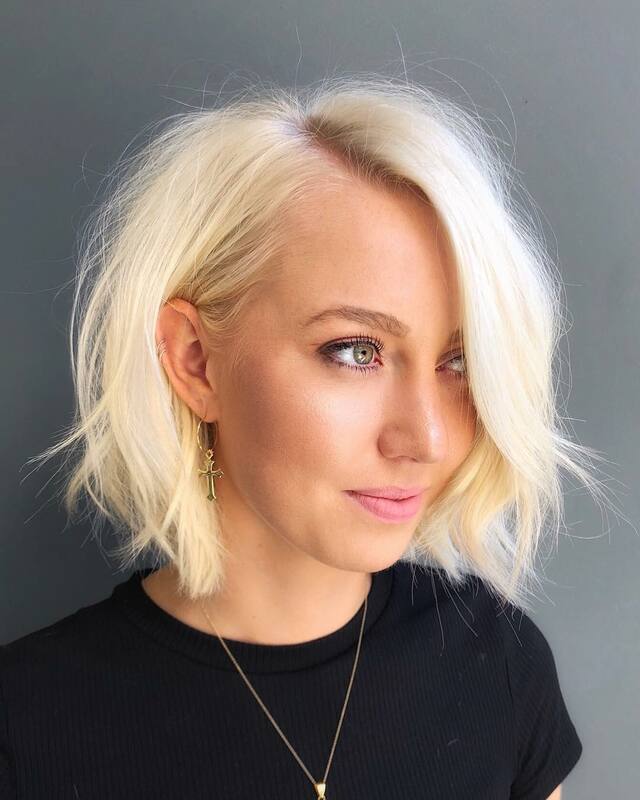 This rounded bob is a perfect short hairstyle. 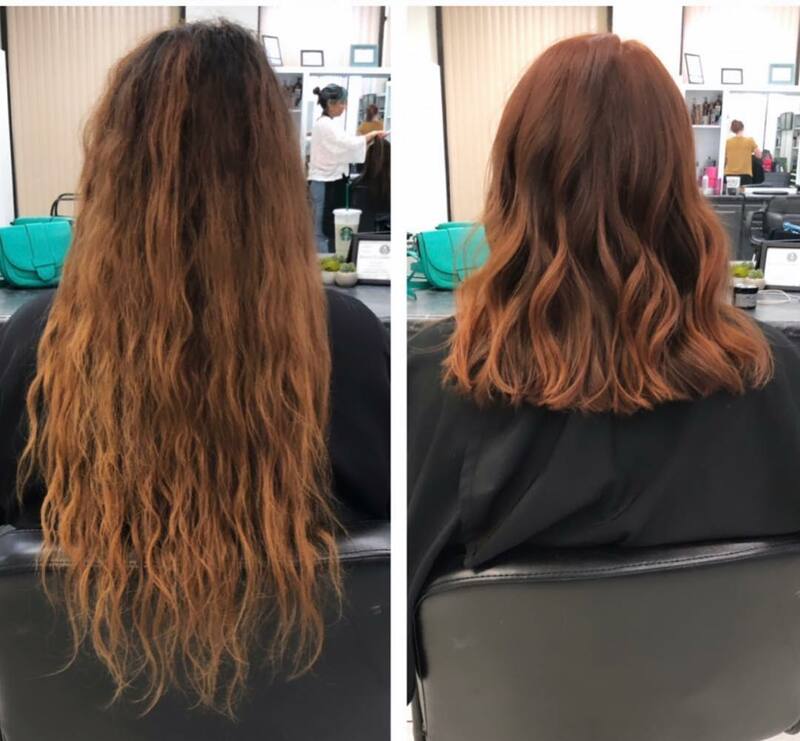 Cutting your hair is actually good for it. 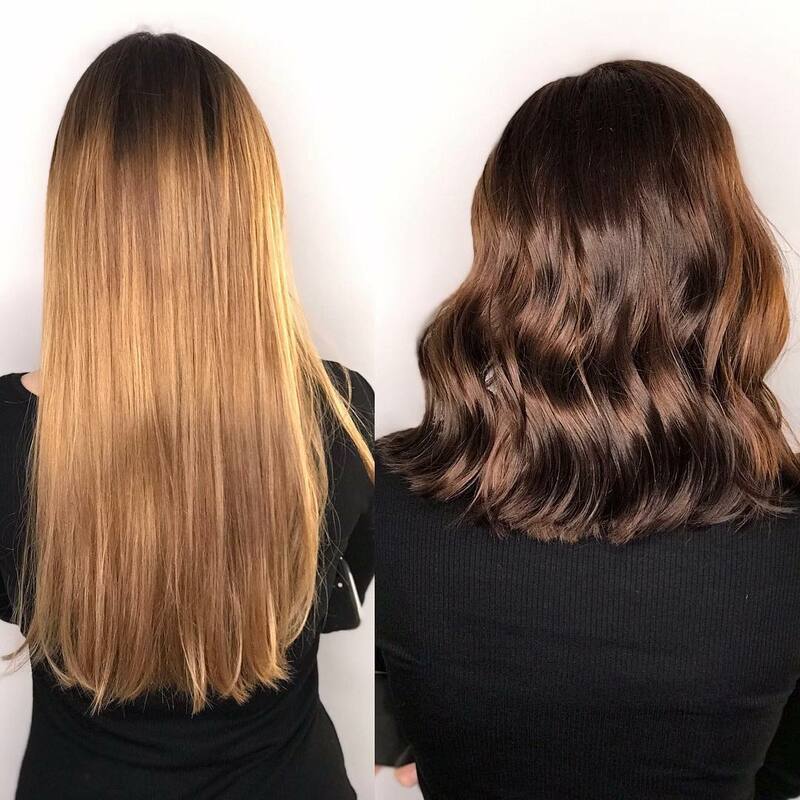 Leave your color natural but give your hair a nice cut to keep it healthy. 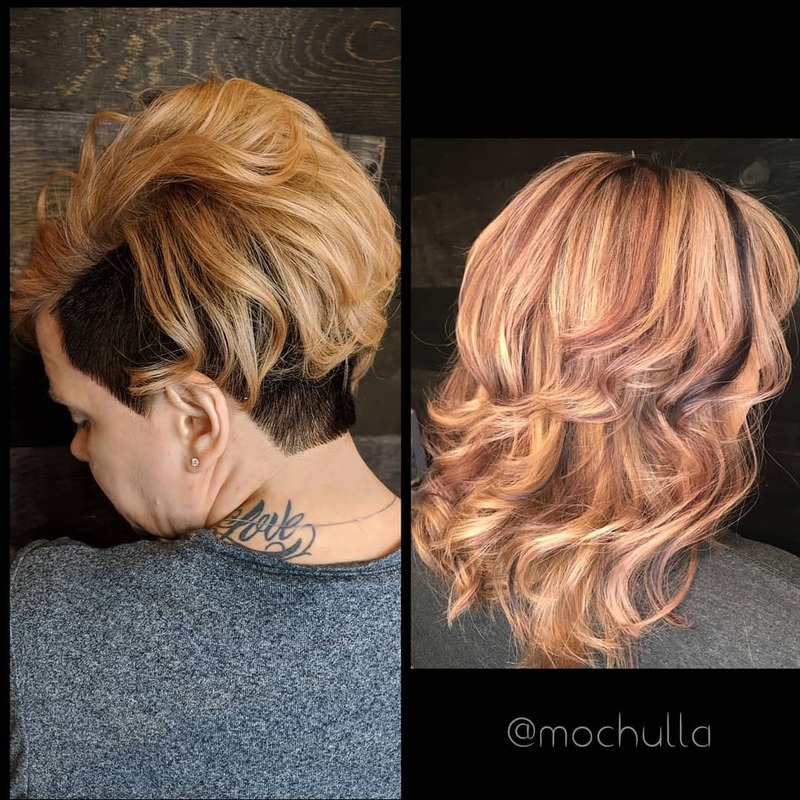 If your pixie is bugging you, give it some texture and highlights. 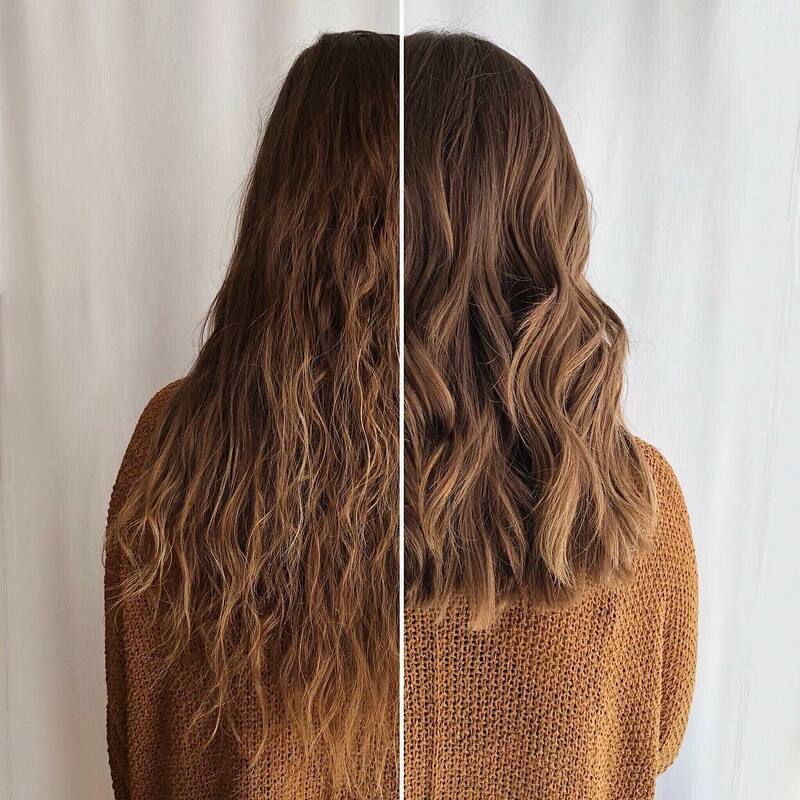 After the big chop, add in some natural highlights to bring light to your hair. 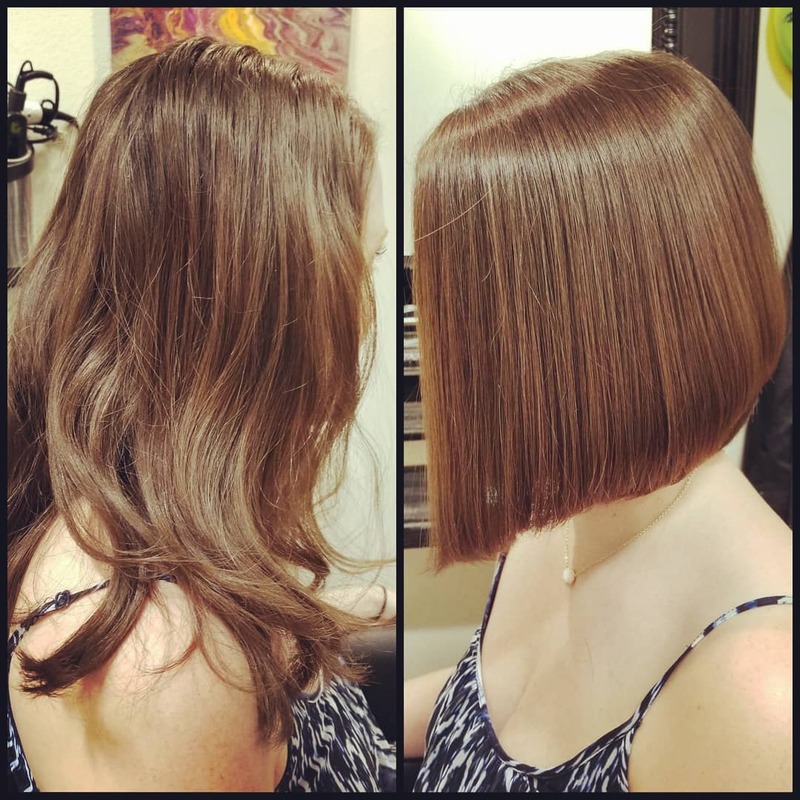 Welcome the warmer weather with a beautiful sleek bob. 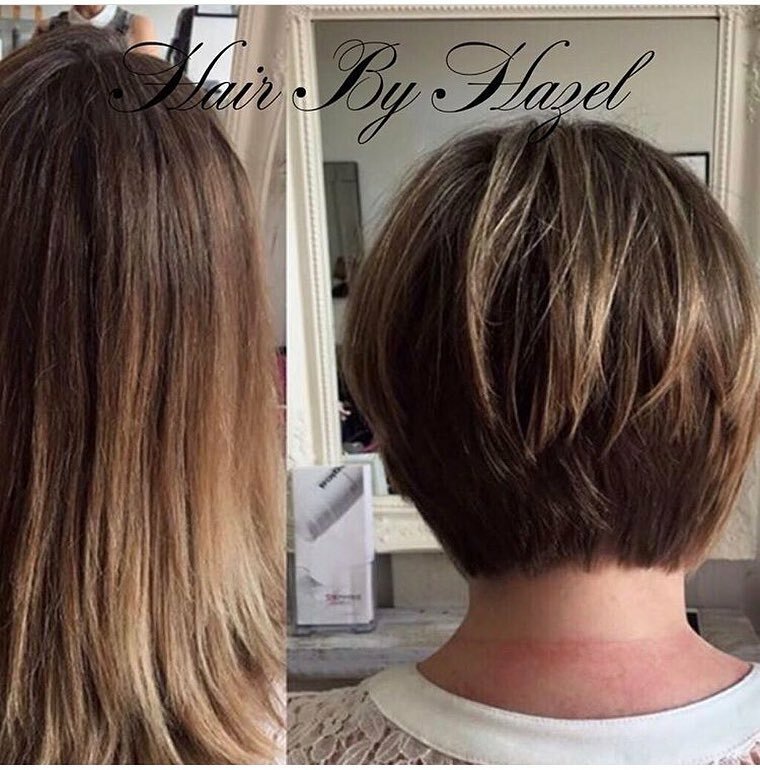 Keep your hair longer in the front and shorter in the back for a lovely angled bob. 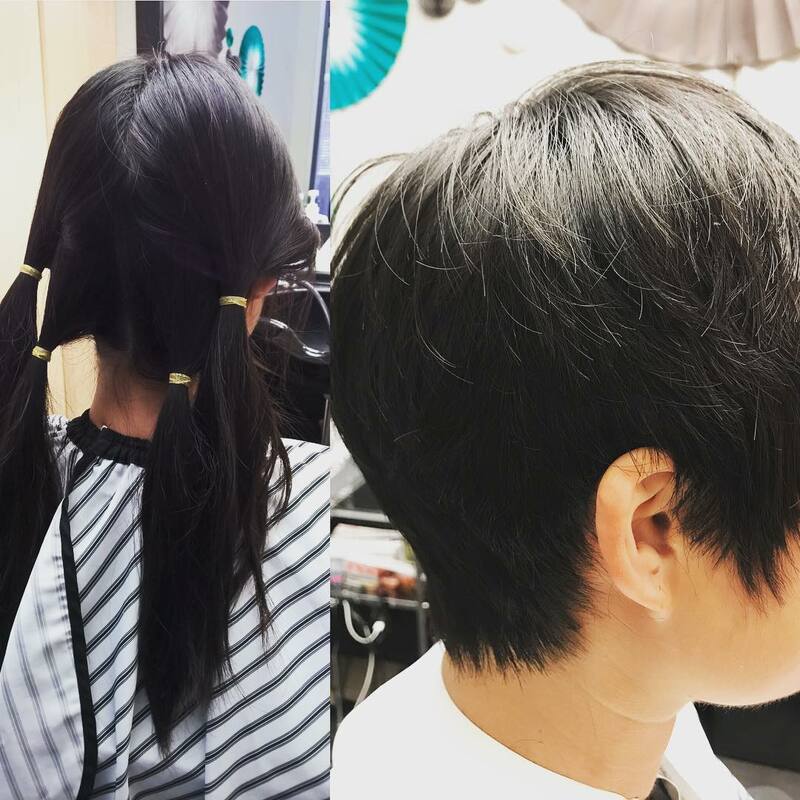 Take the plunge and go for a pixie cut, you’ll love it. 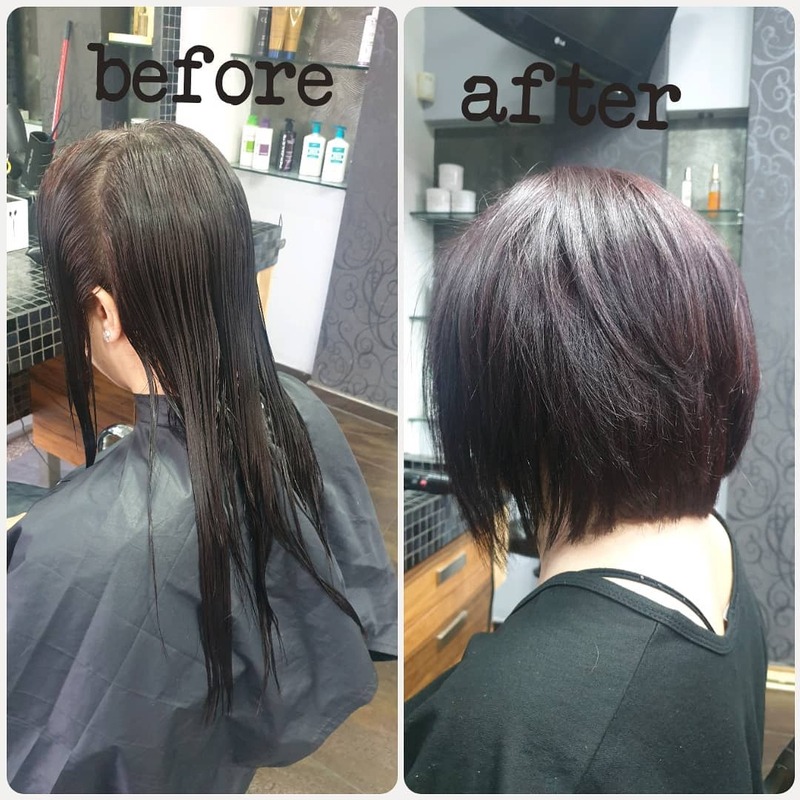 Cut your hair and dye it a whole new color for a brilliant transformation. 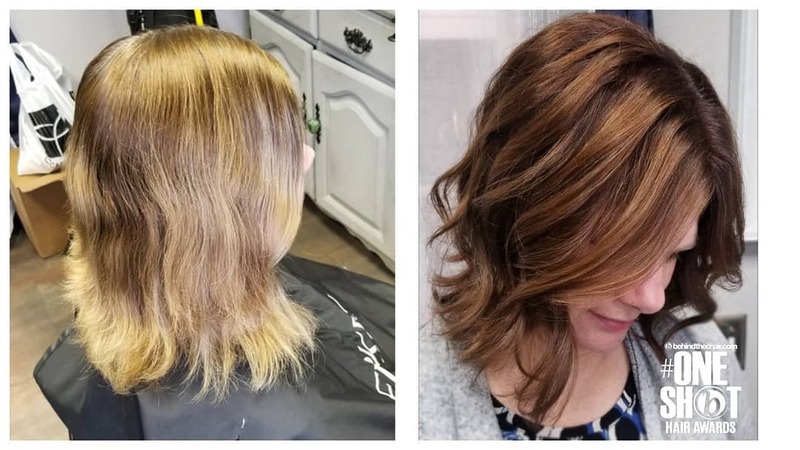 Add little highlights throughout your hair for a great new color with your new cut. 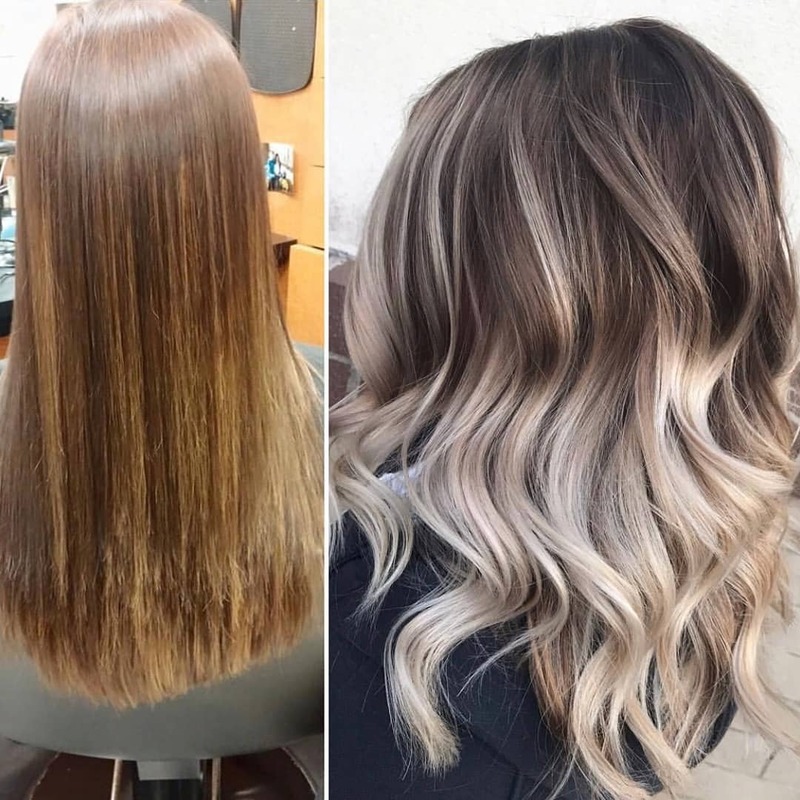 Fashion colors can take a toll on your hair. 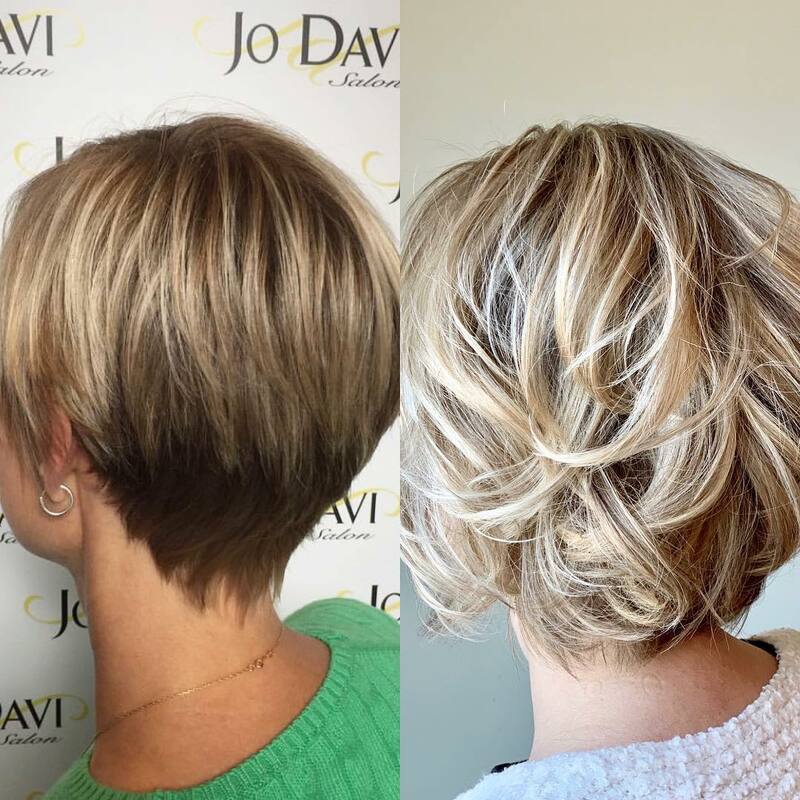 Go from fashion to natural with a beautiful new cut. 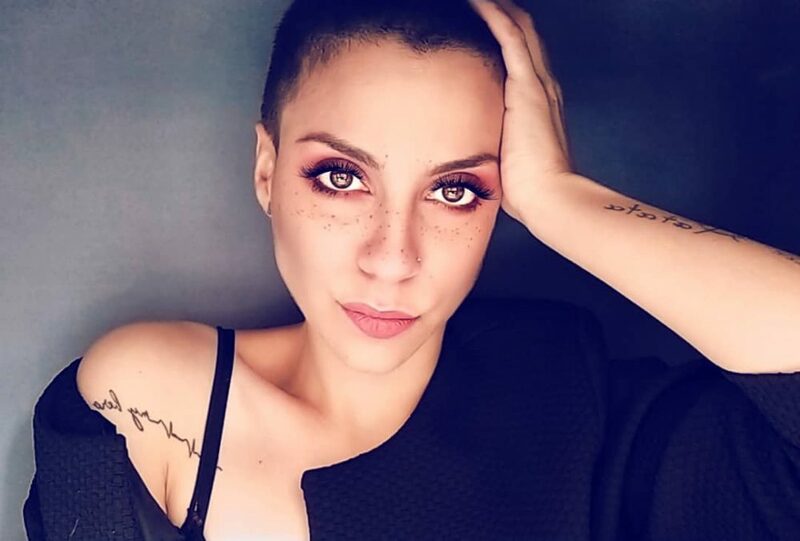 Do the big chop and go for a lovely pixie look. 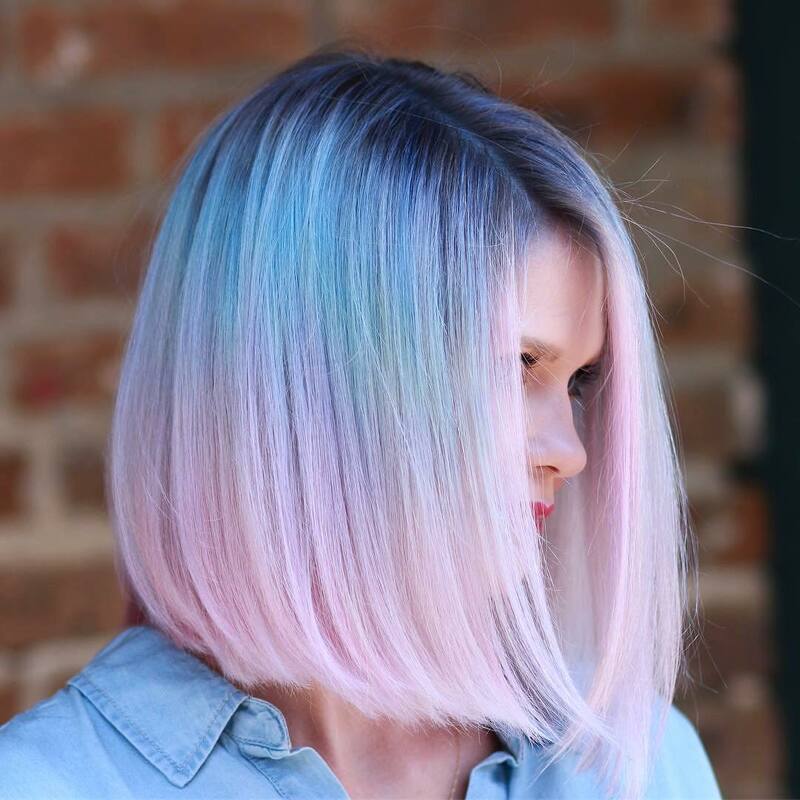 Up your game with a few fun colors mixed in. 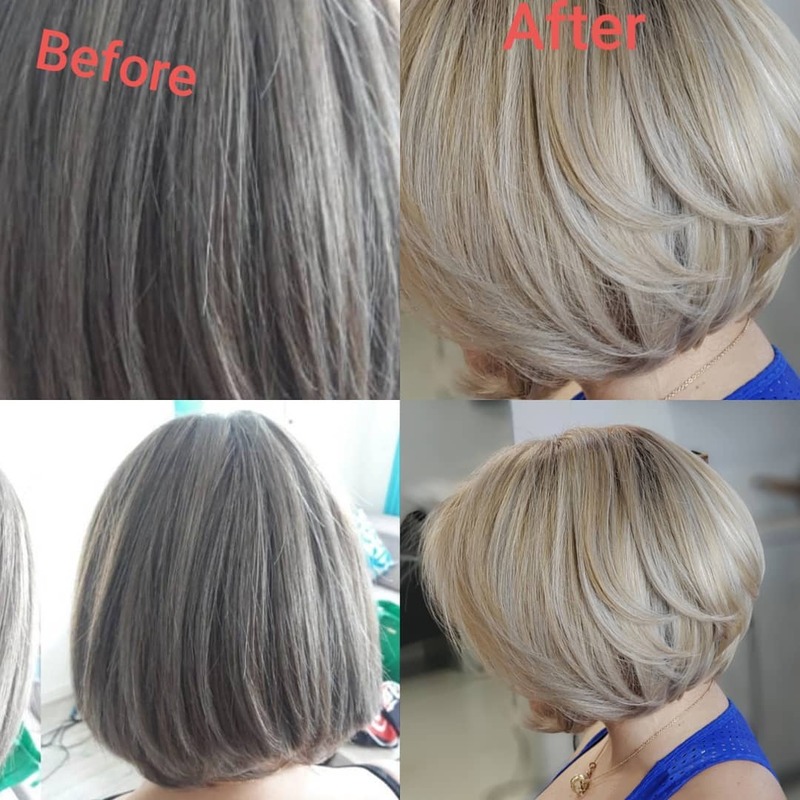 A rounded bob is a great look to transform to if you are looking to go a little shorter. 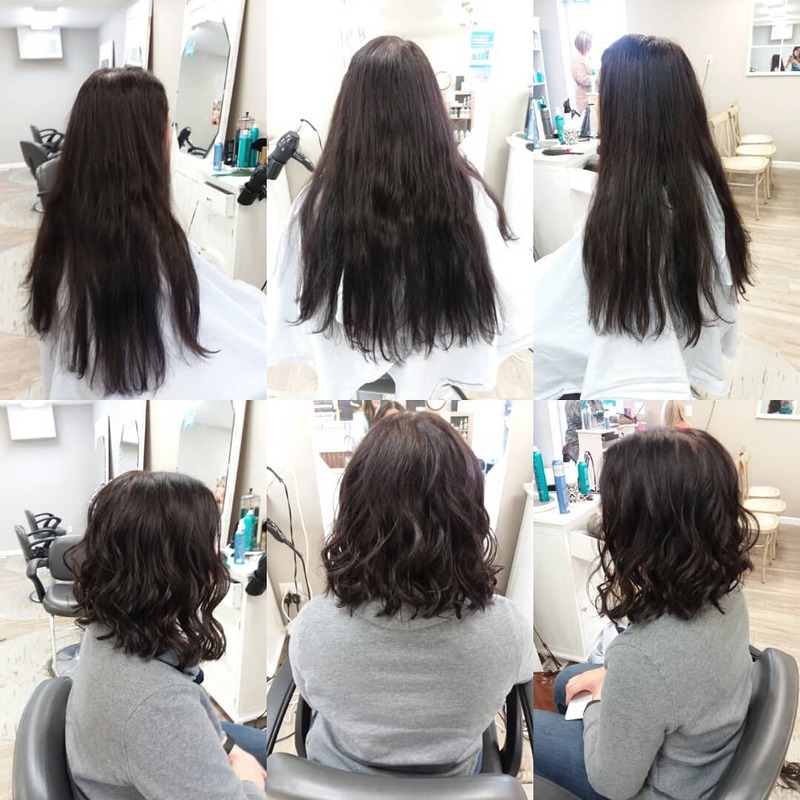 If you have long hair and want to go shorter, think about donating it! 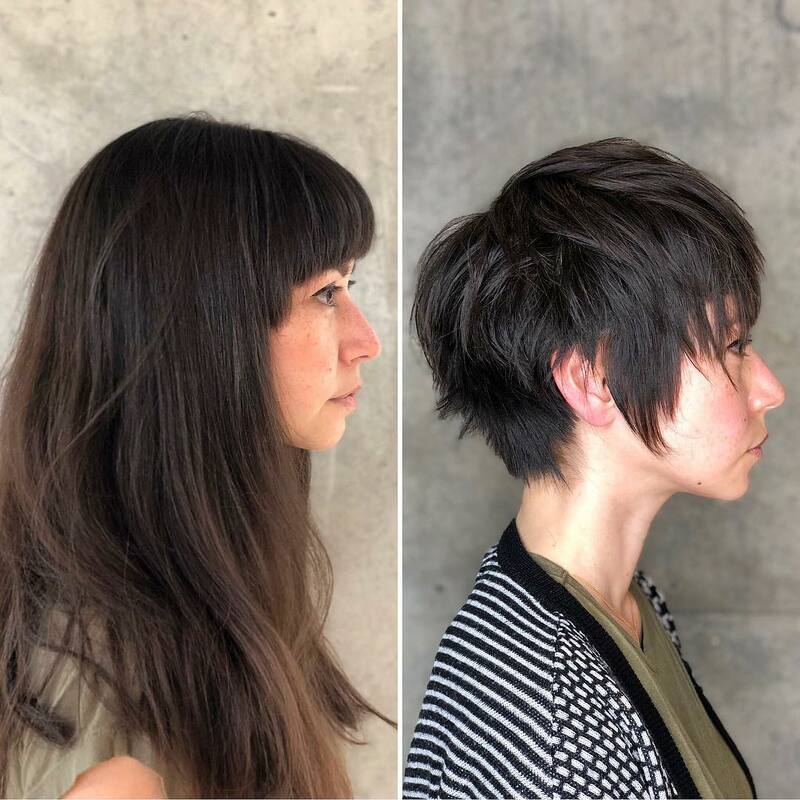 Go from one short hairstyle to another. Both look beautiful and are perfect for a short look. 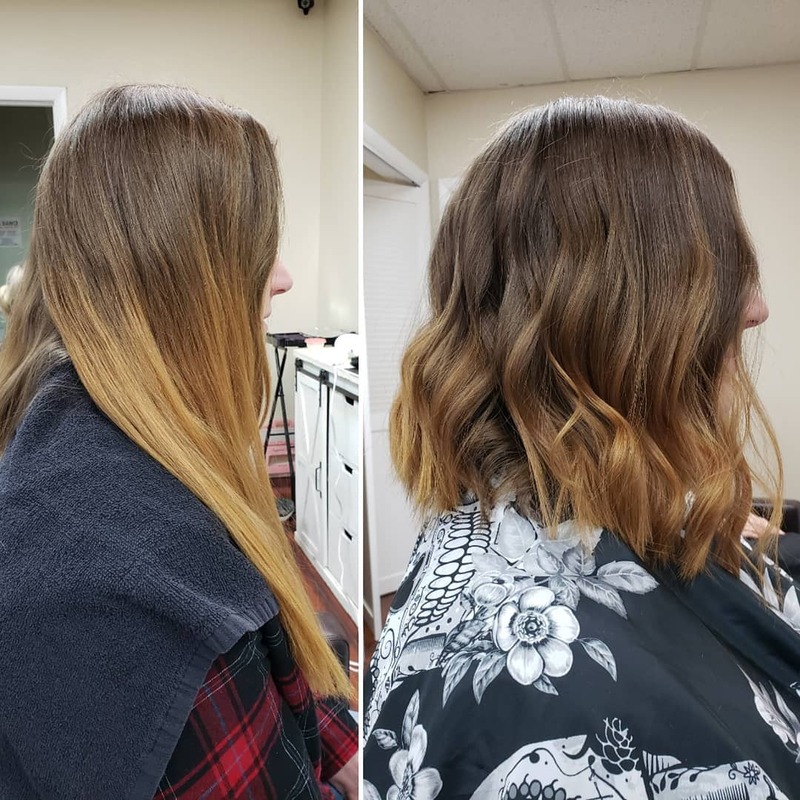 Getting a fresh cut and a new style is the best feeling in the world. 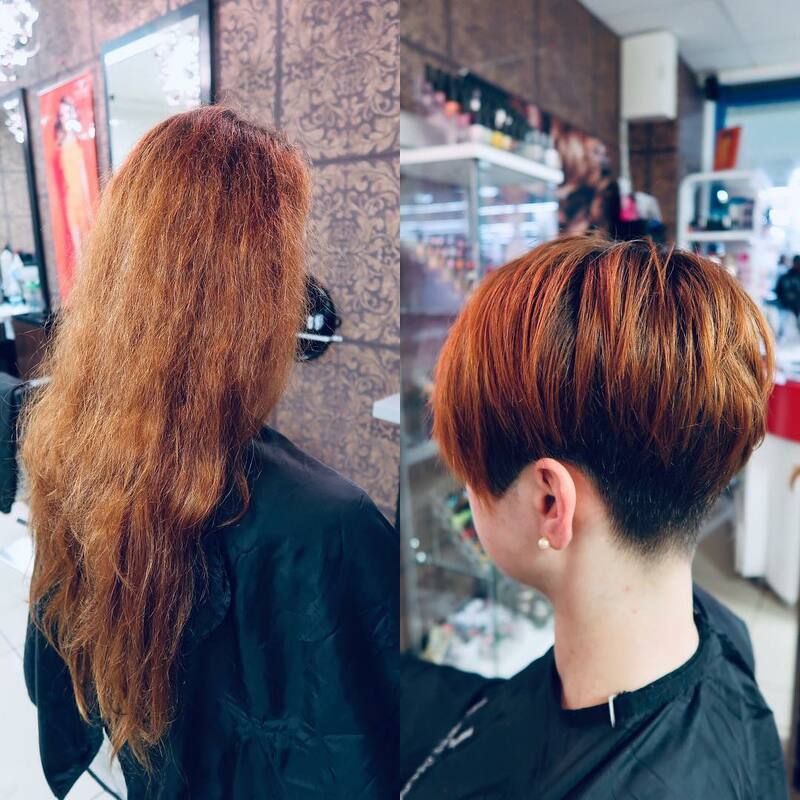 Getting a pixie is a great way to transform your hair and feel fresh. 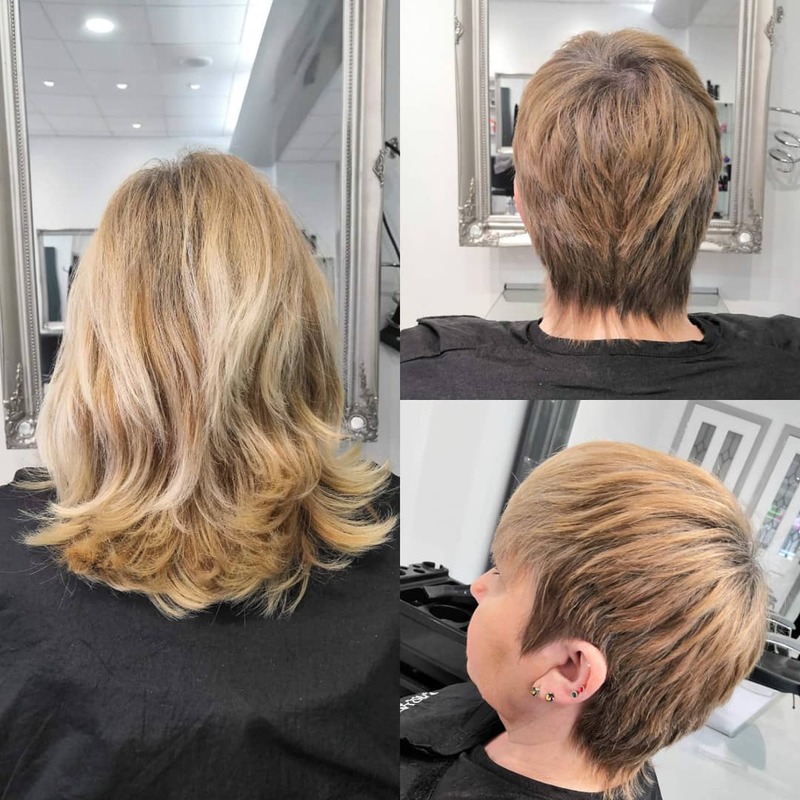 Try out a shaggy pixie style for a longer look with a lot of texture. 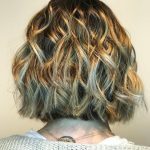 A nice cut and a new color is a great way to start your short hair journey. 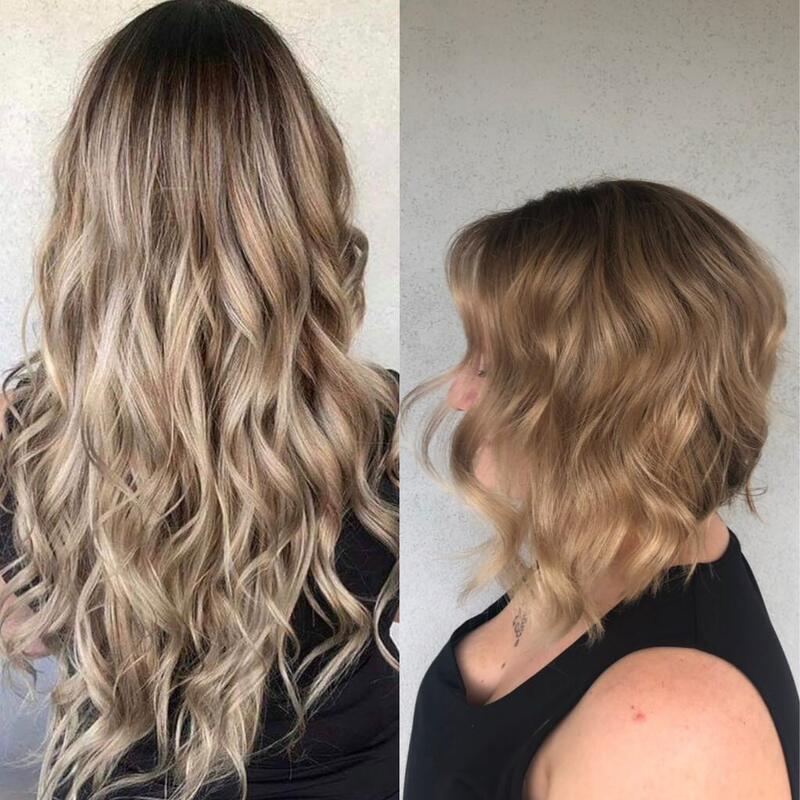 A cute lob with curls is a great way to start your short hair journey. 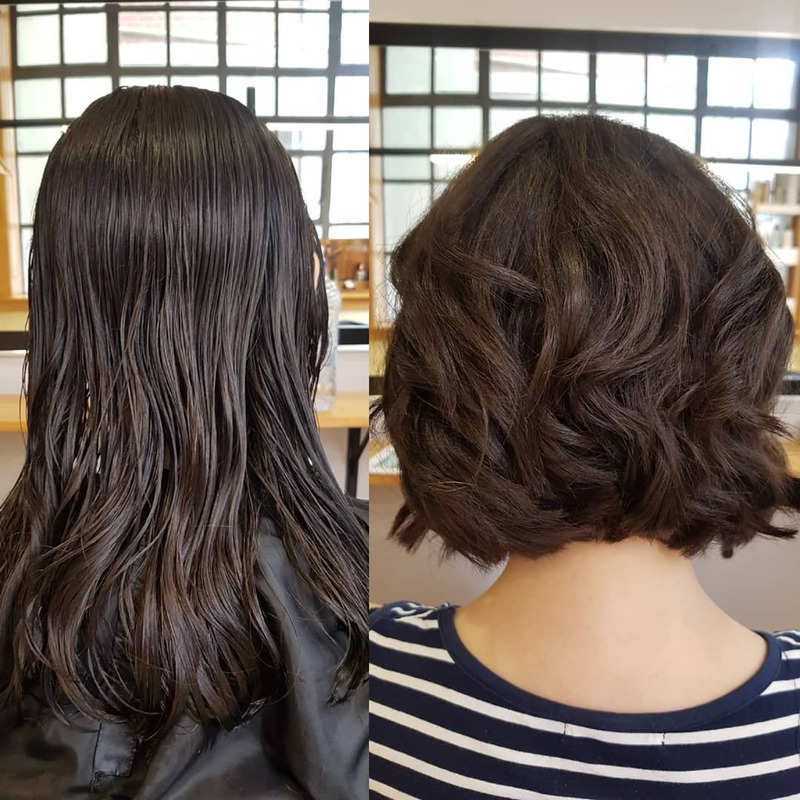 This simple and elegant bob is a beautiful way to transform your hair. 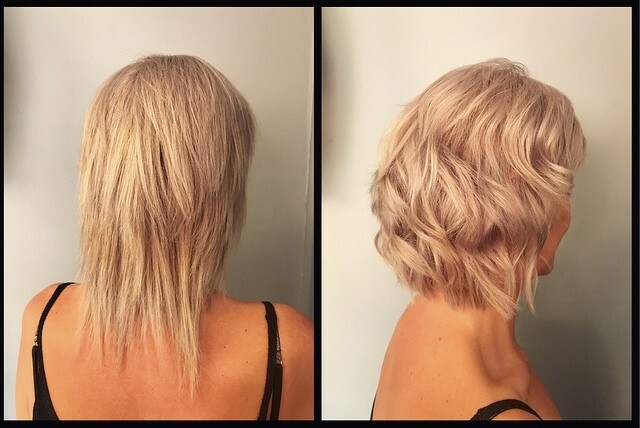 An A-line bob gives you length in the front, but a party in the back. 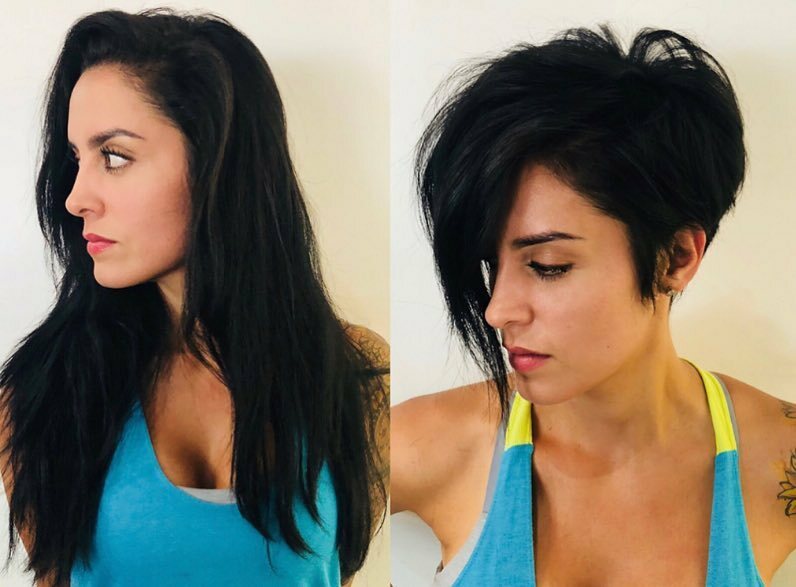 A textured pixie gives you a lot of options to play with your short do. 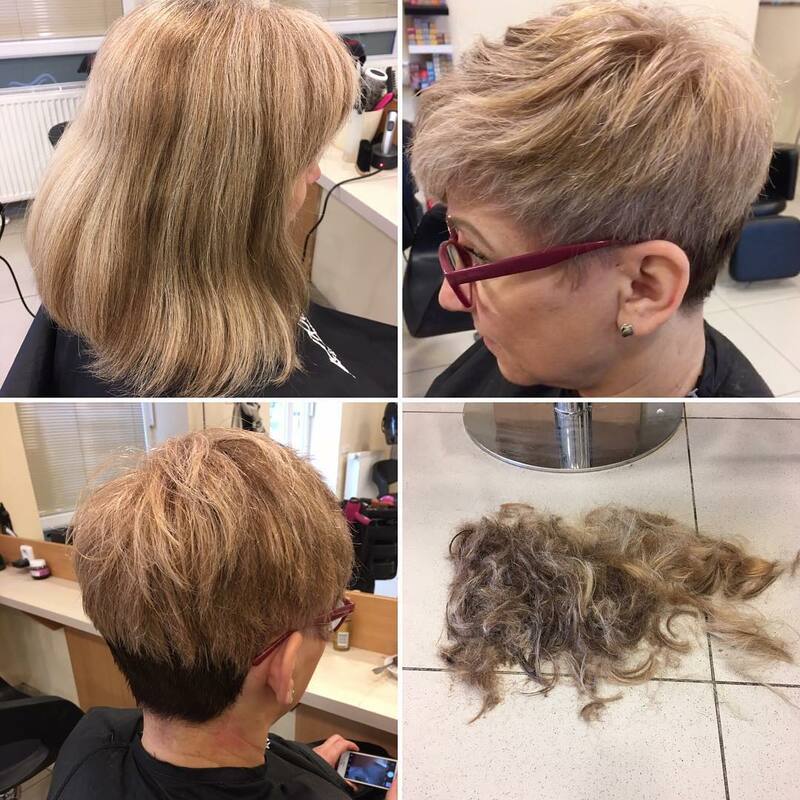 Change your look with a bang and go for fresh color and cut. 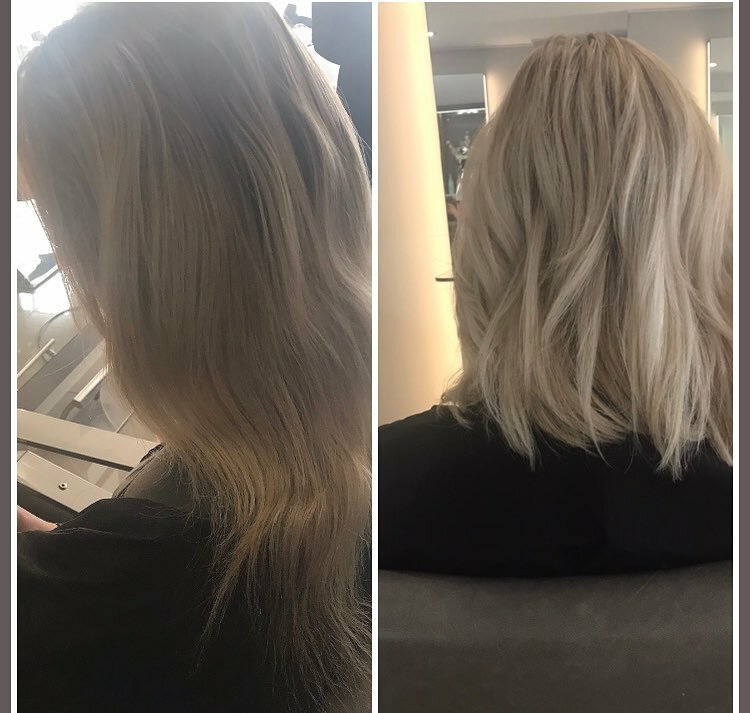 You can do a drastic cut without changing the color of your hair. 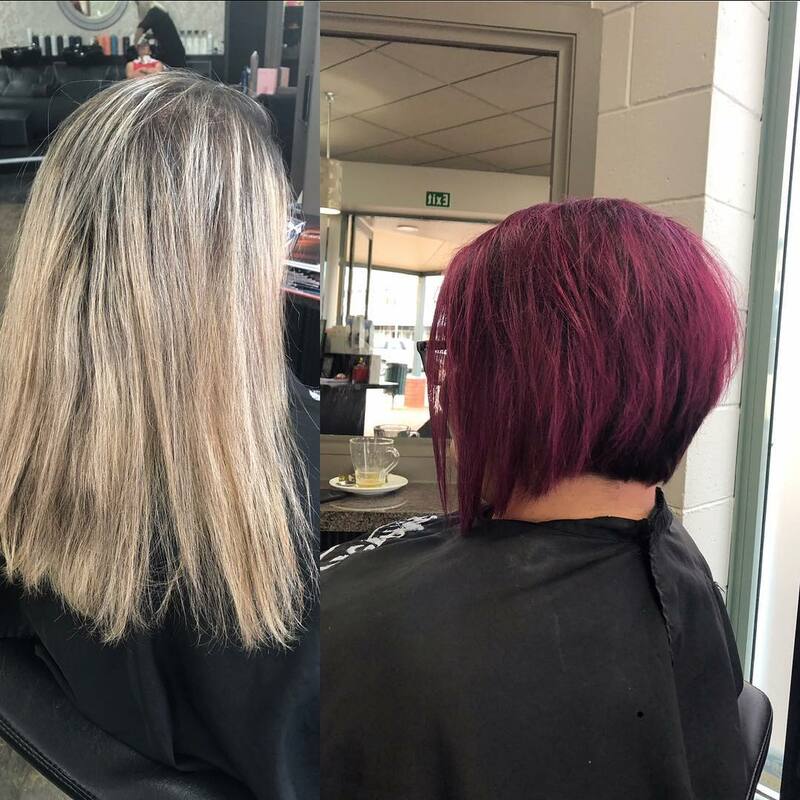 If you want a big change why not go for an epic mohawk. 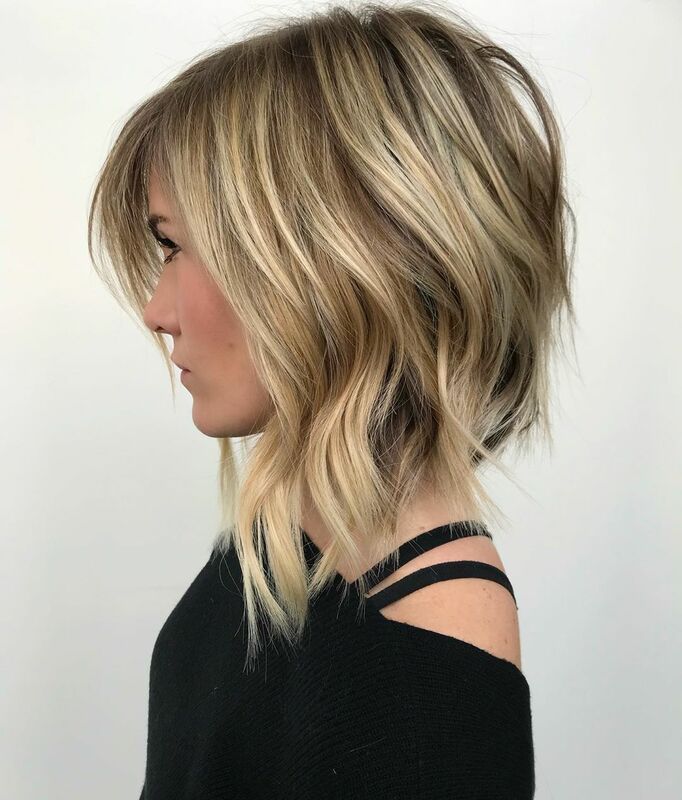 A layered bob gives you a lot to play with and looks amazing. 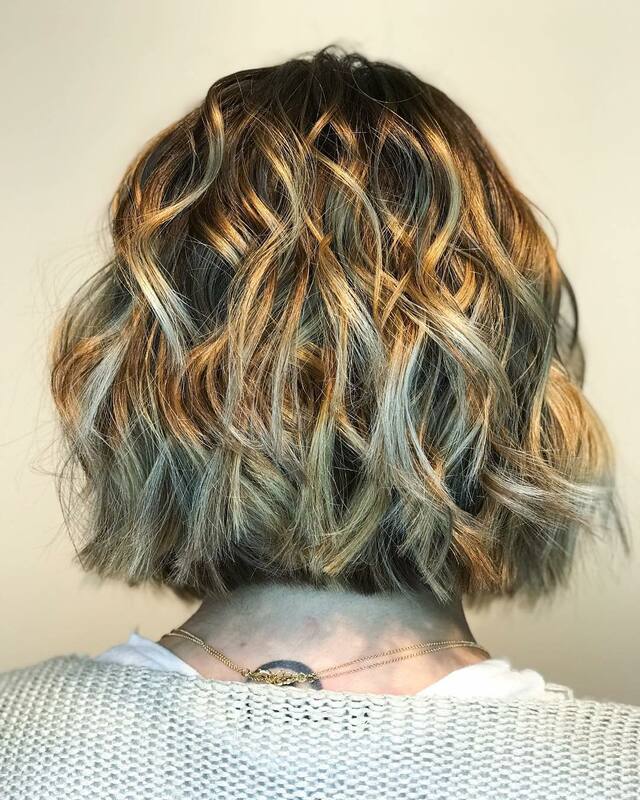 Natural color or not, Auburn is a great way to show off your short style. 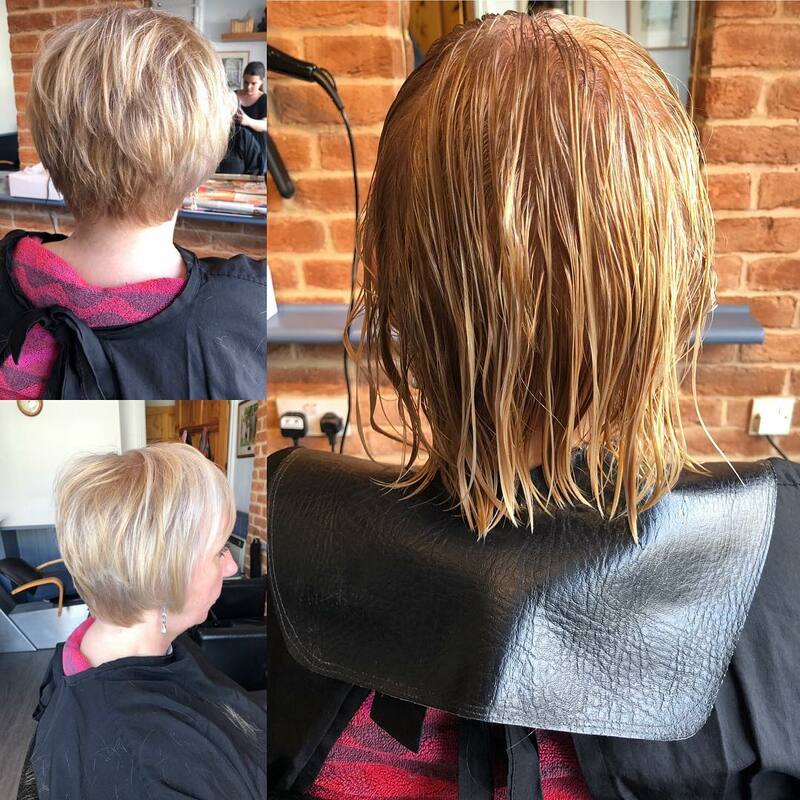 A textured pixie cut will feel and look great. 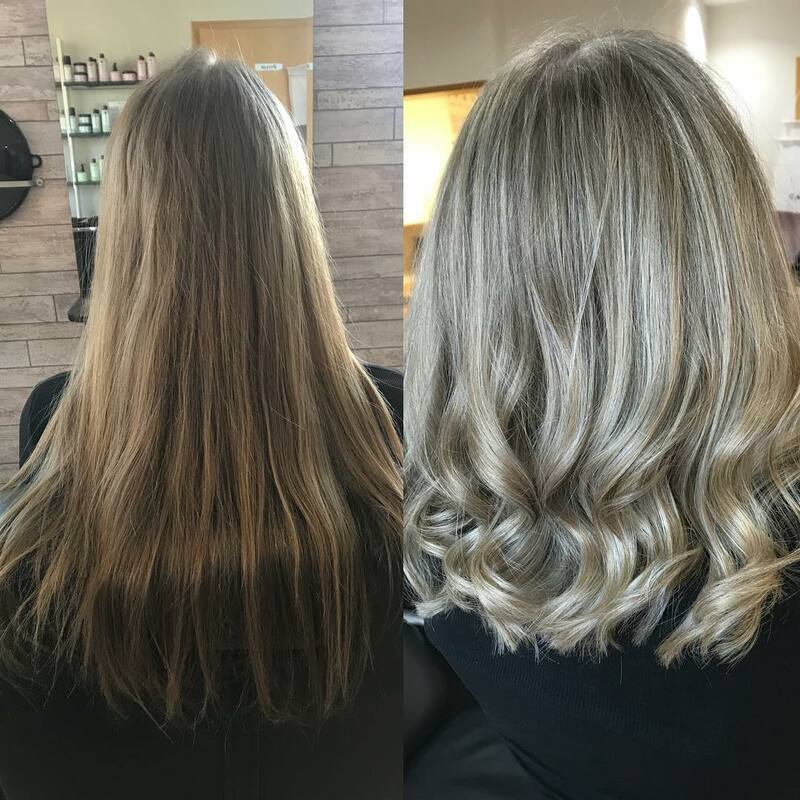 Go for a beautiful light blonde color that will match your gorgeous lob. 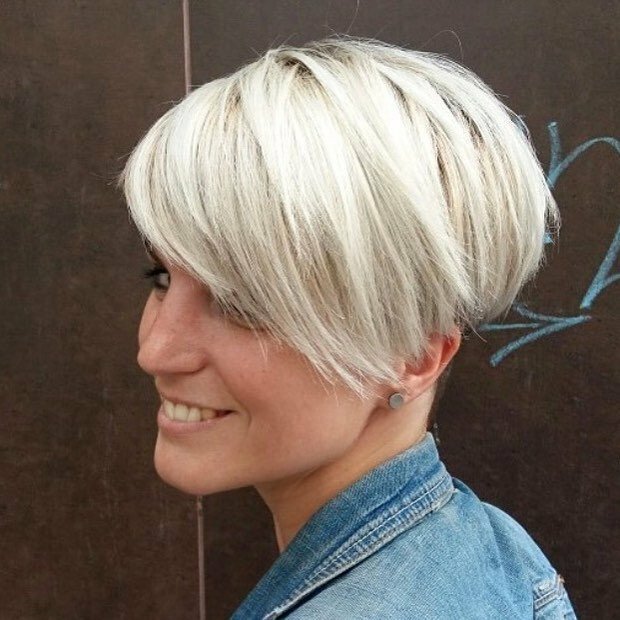 Cut your hair in the style that feels right to you, like this fabulous rocker pixie style. 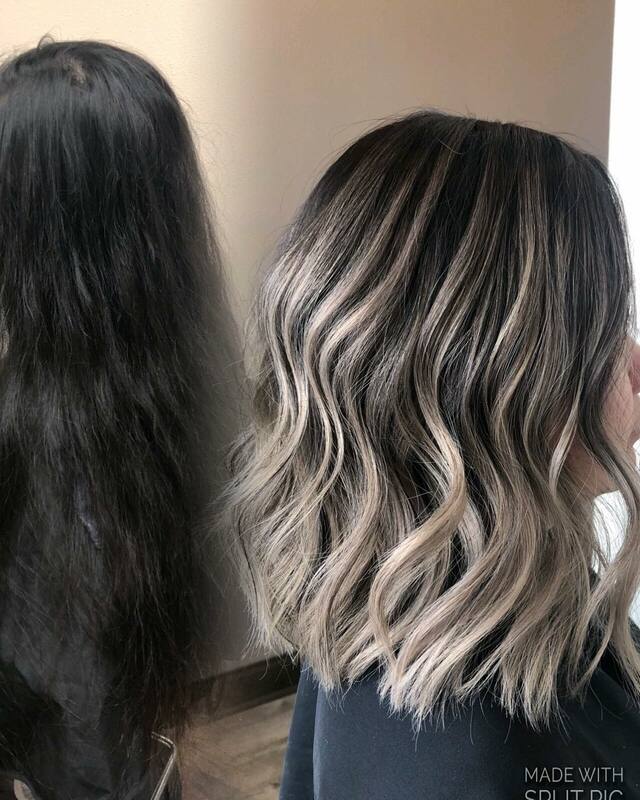 Do a big cut, change to your favorite color, and love your new beautiful look. 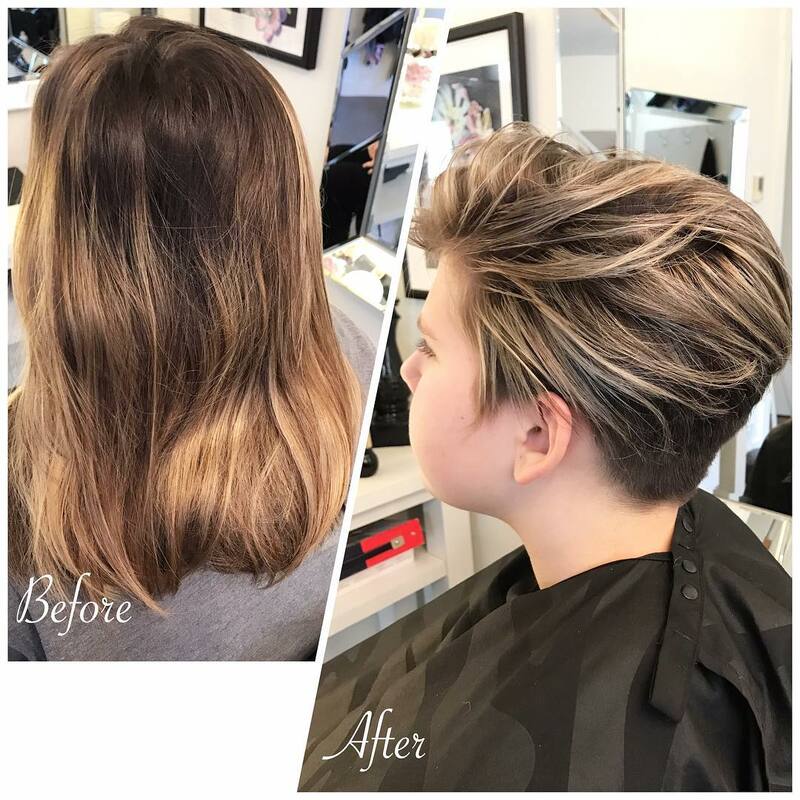 A boyish pixie looks stunning and helps give your hair shape and volume. 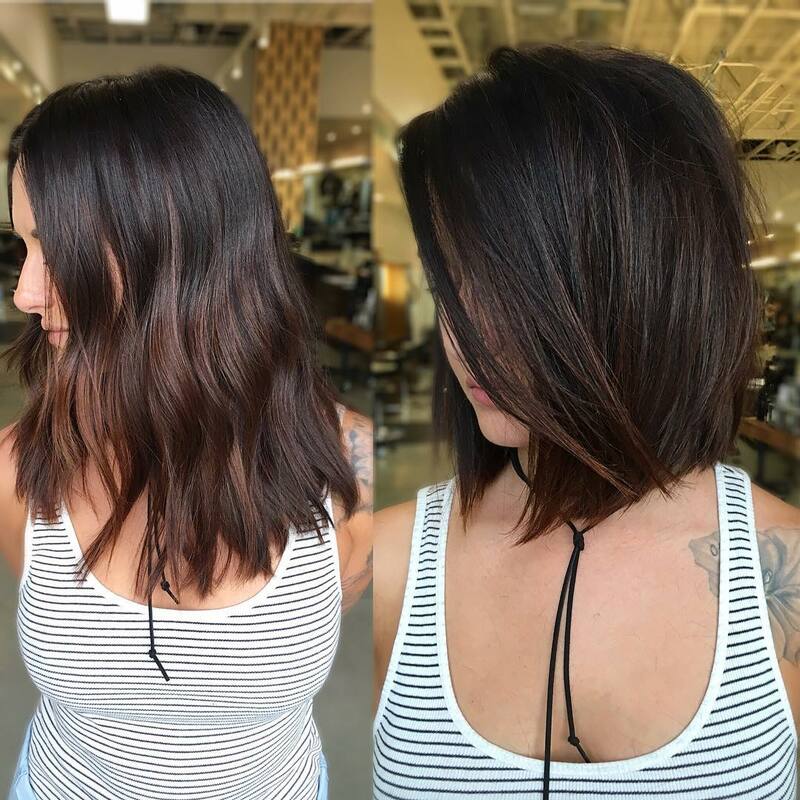 A bob cut gets the hair off your neck, looks amazing, and with some layers and curls, is simply beautiful. 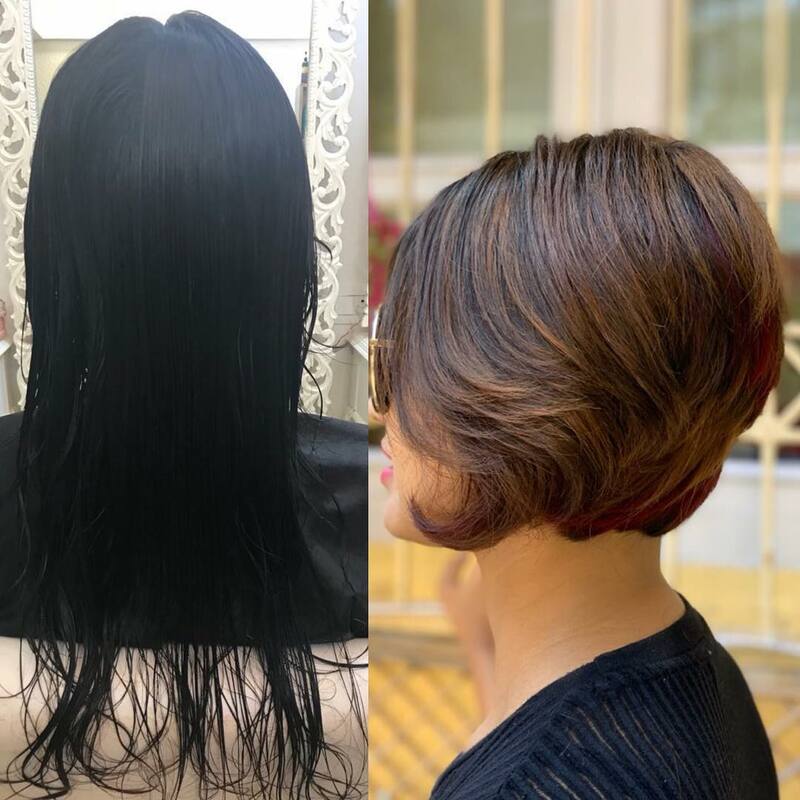 These before and after prove that going short is the way to style your hair. 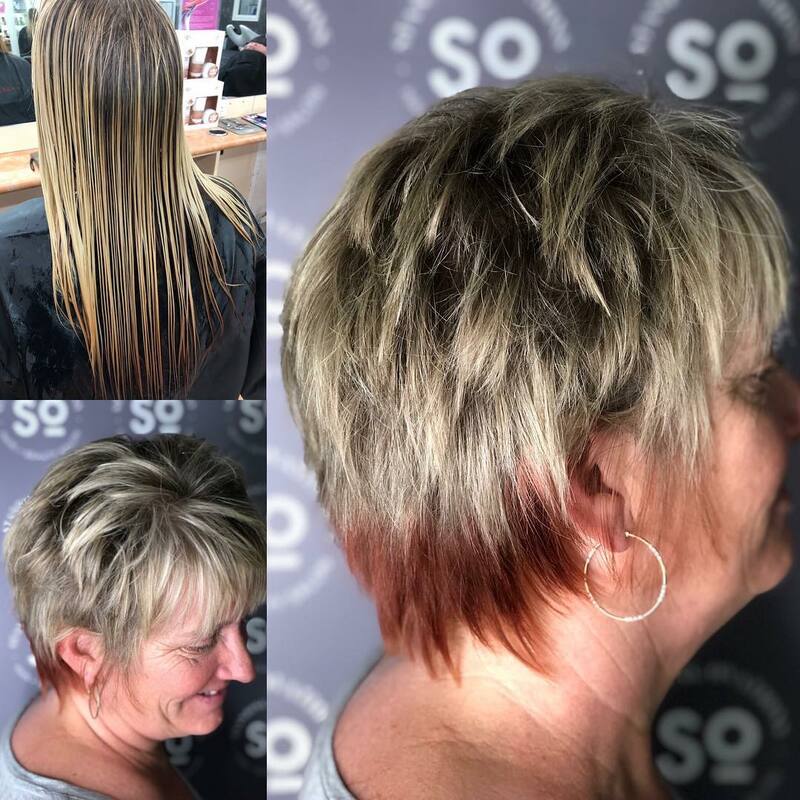 Hopefully, you found some inspiration and next time you see the stylist you will take the cut.